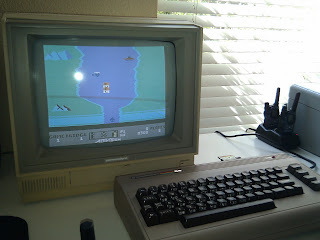 I found River Raid this morning and it brought back memories of playing this on our families Atari 5200. I remember beating this game, taking a Polaroid of the screen, and sending it in to Activision for a free patch. I remember my mom sewing it on to my baseball cap. My son playing Moon Patrol. 1942. The epic top down scrolling shooter! Who Dares Wins 2 - A Classic! Another pic of Spatula City in Ansi. 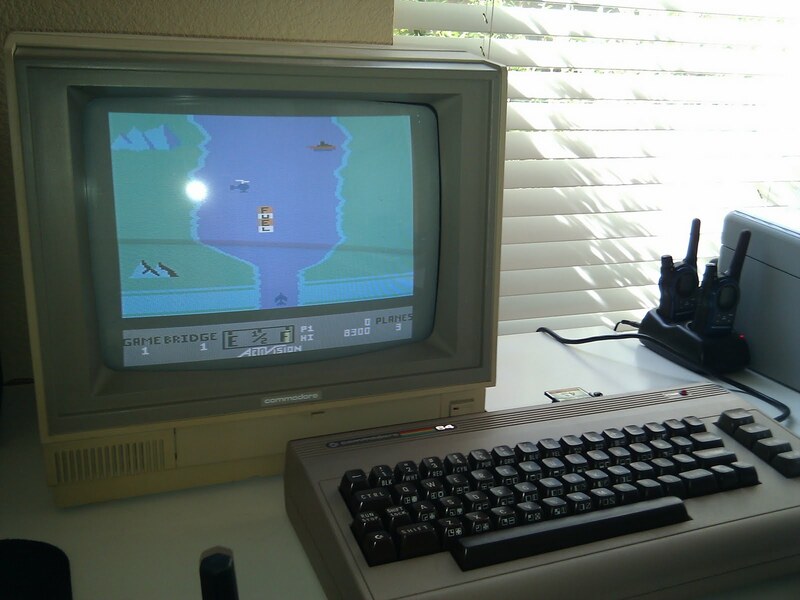 Introducing a new generation to the C64.